Scrapbooking, Shawnee & Stroudsburg Oh My! 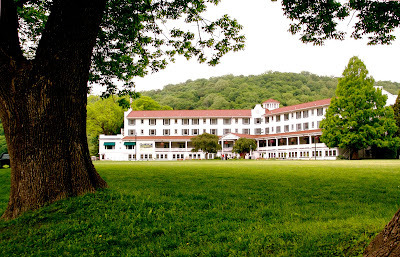 This is where I am headed today, the Shawnee Inn in northeastern Pennsylvania. For one weekend a year my girlfriends and I head here to go to a scrapbooking retreat. Some of my favorite things about the weekend- not having to cook or clean, the yummy food (everyone swears by the sweet potato fries, but that’s not my thing), sleeping in and not being woken up early morning, or even the middle of the night, by strains of “mommy, mommy, mommy”, and the awesome fruit smoothies they have made to order. having a pedicure in the most spectacular of heated massage chairs. I always pick a bright and fun color for my tootsies that makes me look forward to summer days in flip flops and reminds me that spring is coming despite my winter doldrums! So I am off to scrapbook away. This years project is to make Eli an album. He is sorely lacking in the scrapbook department. I can’t wait to put our memories down for him to treasure for decades to come. Plus working on legacy items for my children helps with the mommy guilt of leaving my five men to fend for themselves for the weekend!